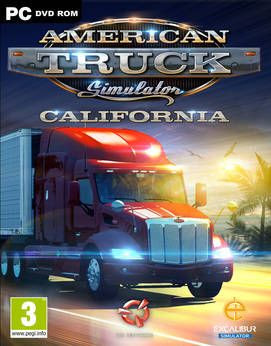 Experience legendary American trucks and deliver various cargoes across sunny California and sandy Nevada. American Truck Simulator takes you on a journey through the breathtaking landscapes and widely recognized landmarks around the States. 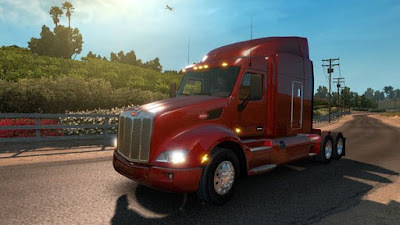 Game mechanics are based on the highly successful model from Euro Truck Simulator 2 and have been expanded with new features, creating the most captivating game experience from SCS Software. 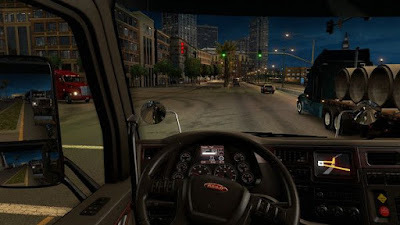 American Truck Simulator puts you in the seat of a driver for hire entering the local freight market, making you work your way up to become an owner-operator, and go on to create one of the largest transportation companies in the United States. مواضيع ألعاب سوف تعجبك ! 0 التعليقات لــ "تحميل لعبة الشاحنة النقل البضائع الأمريكية"